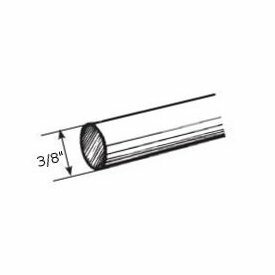 Kirsch 94003 extruded aluminum curtain rod tracks are designed for the tough jobs where wear and tear on a product is at it's maximum. This sturdy curtain rods comes in lengths up to 20 feet. It can be ordered by the various parts needed to assemble to the customers needs, or custom made by BasicQ. Go to http://decor.basicq.com/cgi-bin/dcart/94003-12-025.html?id=r5TgrZ6o&mv_pc=7111 for more detail on the work horse of a curtain rod. BasicQ Inc. has joined the online shopping business with a little different approach. Instead of just offering the new or replacement, BasicQ has every item available from two of the largest vendors in the industry, Kirsch and Graber. 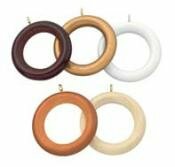 From arch to curtain rods, to corner curtain rods, a nice selection is available at affordable prices. Extension brackets, extra slides, curtain rod splice hardware and valance or cornice board brackets are just a few examples of the items available. A fuul catalog of the Kirsch line is available in pdf format to help you in your search for that illusive item to finish the job. When you think curtain rods, think Basicq, this is the only term you need to enter in your search engine to find a world of items for your window.